Since August 2017, Togo has been shaken by waves of protests by a coalition of opposition parties known as C14 demanding constitutional, institutional, and electoral reforms resulting in parliamentary and local elections as well as a constitutional referendum in a more consensual atmosphere (Togo Times, 2018). 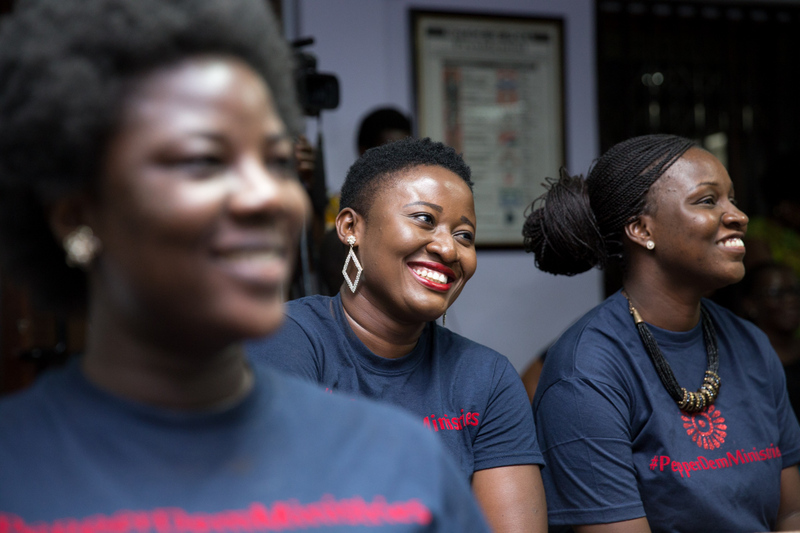 The success of such an electoral marathon would depend in part on how much the various stakeholders trust the institutions involved in the electoral process, particularly the Independent National Electoral Commission (CENI in French). As might be expected, a battle ensued for control of the CENI, whose members represent political parties as well as civil society and the administration, ultimately leading the C14 to boycott the CENI and the parliamentary elections conducted on 20 December 2018 (Atlantic Infos, 2018; Lemask, 2018; Déguénon, 2018; RFI, 2018a, 2018b; Togosite.com, 2018; Digitalcongo.net, 2018). Public trust in the electoral commission has been an ongoing issue as past elections have been marked by disputed results and charges of CENI bias (Vampouille, 2010; lemonde.fr, 2015; togotribune.com, 2018). Findings from Afrobarometer’s most recent survey in Togo show that popular trust in the electoral commission is low, and while citizens support elections as the best means for choosing leaders, perceived election quality has decreased. 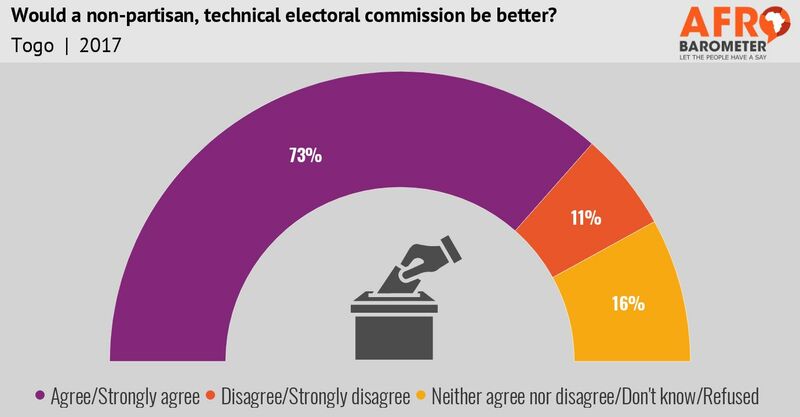 Most Togolese – even those who trust the electoral commission – say a non-partisan, technical electoral commission would work better.